Zildjian A Custom cymbals are light, crisp, subtle, and very colorful. Delicate stick sound with clean "chick.". No cracks, no key holing, slight fading of logos from previous cleaning. These cymbals are great for recording studio use as well as live performances. 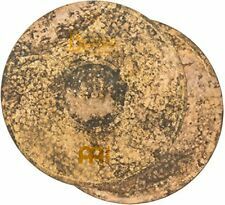 Super rare and very thin 611g Cymbal, beautiful sounding 14" crash. 1930 to 1945 by the looks of the stamp. These cymbals were not always made exactly 14" as they were hand made this is slightly bigger and not cut down,measurements in photos Unfortunately spider cracks developing around the bell, It can be played lightly but getting a Grombal would help prevent it spreading there is also a dink in the edge as pictured , still doing well for 70 years old Will be sent Special delivery well packaged. Any questions welcome. Wuhan Ice Bell 8" great condition. Half the new price and in very good condition indeed. 14" Zildjian A Custom Hi-Hats. These hats are in great shape. The hats have no dings, no dents, no cracks and no keyholing. The hats are amazing sounding! The logos are faded from polishing. Previously owned Paiste 2000 Power Ride 20" Cymbal. The cymbal is in player's condition with significant finish wear and light keying. There are no cracks. Clean edge. Here is a Vintage Paiste 16” Crash 2002 Cymbal Made In Switzerland 1106 grams There are no cracks, nicks, flea bites, or keyholing. Very nice patina, thanks for looking! Zildjian 19” K Dark Thin Crash K0905 Great Condition! SAVE A BUNDLE ON THIS ZILDJIAN 19" K THIN CRASH CYMBAL. This is a new set of 13" Saluda Prototype hi-hats. These are great looking and sounding hats. This is a new 16" Saluda prototype crash. This has a fast, 'airy' sounding, crash sound. Hi. For sale Roland VH-11 in very good all round condition. Excellent working order. Includes VH-11 clutch. With eyes closed, drummers will think they’re playing a regular two-piece hi-hat. But examine the innovative VH-11 floating hi-hat, and you’ll see that it’s actually comprised of one floating cymbal pad atop a fixed lower base. Great for fast setup and easy transport, the VH-11 mounts on conventional hi-hat stands, and provides a similar playing feel to a 2-piece hi-hat. The VH-11 is fully compatible with Roland's TD-30, TD-20, TD-20X, TD-15, TD-12, TD-11, TD-9 and TD-4, and partially compatible with TD-10 (with TDW-1), TD-8 and TD-6/-6V. This set is in great condition with light oxidation spots. "NOTHING TO BIG OR SMALL, WE DO IT ALL!". Get it fast, save big! It has the classic fast, trashy, china sound. The 6 iso vents help give it a little quicker sound and decay. Get more details about Saluda on theirYoutube Channel. 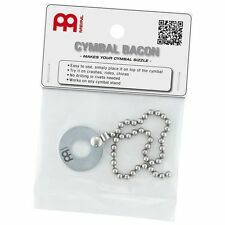 There is also a monthly free cymbals giveaway.Check it out ! 18" Zildjian Avedis Crash. This has the 1950s stamp on it and the stamp is in great condition. The crash has a small keyholing but it has no cracks and no edge dings. The edges have no flea bites. Sabian Solar cymbal set - heavily corroded and discloroured as can be seen from the photos but no actual dents, nicks or cracks and still sound as they should. Priced cheaply to reflect condition. 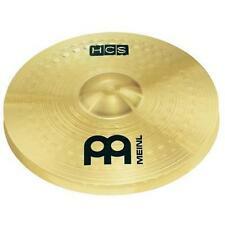 bosphorus cymbal Hi Hats Master Series 15”. Condition is good. Minimal use. Fantastic dry sounding hat. Having to give up drumming but other wise I’d love to keep them. . Dispatched with Royal Mail 2nd Class. Vintage Krut Special ride / crash cymbal 20"
3258 Grams give or take a few. Cymbal shows signs of use and wear. Heavier ride but with good flexibility and wobble throughout when playing. Istanbul Agop Special Edition 20" Jazz Ride Cymbal. Cymbal has been used but is in great condition. Postage is £16 in UK. 14" Zildjian ZXT Total China. This is a very good sounding china! It is crisp, semi-fast and durable. This is a new set of 14" Saluda Prototype hi-hats. These are great looking and sounding hats. Paiste mini gong given to percussion dealers for advertising,this is from the 1970s and has been in storage ever since.never used very rare piece. Great shape other than a few stick marks and light scuffs but plays and sounds great! 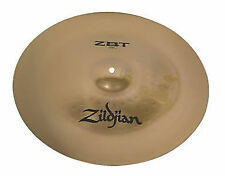 Zildjian A 18" Medium Thin Crash. Condition is used, but great. Any questions, feel free to ask. 13" Saluda Prototype Fusion Hi-Hats. This is a new set of 13" Saluda Prototype hi-hats. These are great looking and sounding hats - very crisp! Hey, this is a very nice, RARE hardly used 18" Zildjian ZHT Crash Ride. This cymbal looks and sounds great. Has a few stick marks and and small scratches. Crash rides are a great do all type of cymbal. 10" Zildjian Avedis Splash. This splash is in great condition. It is flawless. It has a thin, fast, splash sound! Zildjian A New Beat 13" Hi-Hat Cymbal. Condition is Used. No dents or keyholing. Sounds great. Beautiful PAISTE FORMULA 602 20" ride cymbal manufactured in 1966. The NOT SO GOOD: There is a spider crack near the bell. The edge is good and there is no keyholing. Paiste 505 20" Heavy Ride Cymbal. 2635g These are great cymbals and are becoming uncommon to find. It is very bright and lively with good stick definition. No cracks but it is in good condition. There is a dent in the bell that doesn't seem to make any difference to the sound and the hole is a little warped but not much at all. Sabian 21" AAX Raw Bell Dry Ride Cymbal Features at a Glance Up for Sale is a pre-owned “Sabain 21” AAX Raw Bell Dry Ride Cymbals.”. 21" AAX Raw Bell Dry Ride. Aged and hand-tested in Sabian's legendary Vault. Zildjian A Series Crash-Ride Cymbal - 20"
Hardly used excellent condition Zildjian A Series 20" Crash Ride. UFIP Natural Splash 8". Condition is Used. Ding at the edge, 1 or 2 flea bites, no cracks, no keyhole. Still plays and sounds great. See pics, all sales final. This cymbal has a very responsive cymbal feel. Narrow in range and has a fairly clean mix. This is a new cymbal. There is a small bend on the edge of the cymbal. The rude boy of the crash cymbal world! 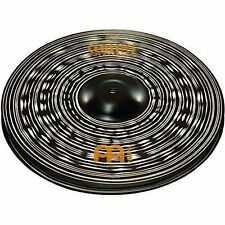 "Raker - Professional cymbals made from B8 bronze alloy, designed for louder music. Introduced in 1985 and discontinued in 2006". 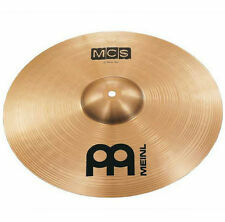 Like Paiste Sound Edge. 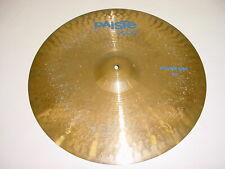 Paiste Signature Traditionals 20” Inch Flat Ride. Condition is Used. Shipped with FedEx Ground or FedEx Home Delivery. 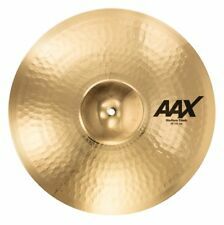 Bright and clean sounding Hi-Hat Cymbal. This has a crack on the edge but it does not interfere with the sound at all. 18" Paiste 2002 Crash. This is a new cymbal - never used. It is flawless and beautiful! Paiste Cymbal Set with bag Ride, Crash, Hi Hat top and bottom. These were purchased in 2002, used gently and put away for the last 15 years. No dents, cracks, or keyholing. Get a great set of cymbals for a fraction of the cost new. Condition is Used. Shipped with USPS Priority Mail. Bosphorus Argentum 17" Crash 1120g. Argentum Series. Sabian HHX 18" China Cymbal nice no damage. 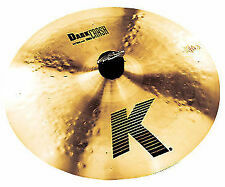 Zildjian K Constantinople 22” Medium Thin High Ride 2458 G.